KIITEE (Kalinga Institute of Industrial Training Entrance Examination) is one of the most esteemed entrance examinations in the country that allows young men and women to realize their dreams of becoming great professionals. 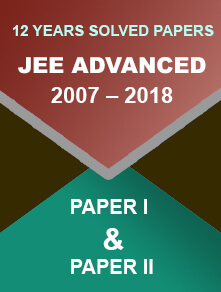 By cracking this exam, students can seek admission to various undergraduate, postgraduate and doctoral level courses in the fields of engineering, medical, law, management etc. It is conducted by KIIT (Kalinga Institute of Industrial Training), a well-known university located in Bhubaneswar. KIITEE 2019 is about to commence and students, who are supposed to appear at it, must be impatient to get complete information about it. 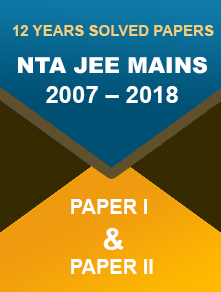 This article will remove their impatience by providing them latest information regarding important dates, eligibility criteria, syllabus etc. The Application Form: How to fill it? The applications forms will be made to available to them through online mode. The filling of the application form will start during the third week of November 2018. KIIT University will give the last chance to candidates to apply for admission until the last week of March 2019. They are required to fill in all the details very carefully in the application form. They should bear in mind that no facility will be provided to them for correction of their forms during later stages. After filling the application form, they should upload their scanned signatures, photographs and 10th mark sheet and certificate. After submission of their application forms, they can check their application status. They need not send the hard copies of their application forms to University. They should keep with them the printout of their document for further reference. They should have passed 10+2 from any recognized university or board. They should have passed the 12th exam in 2017, 2018 or should be appearing in 2019. They should have gained 60% marks in the qualifying exam. For lateral entry, they should have 3 years of Diploma in their respective fields with 60% marks in aggregate. Candidates should have completed undergraduate degree in their respective courses in which they want to get admission. 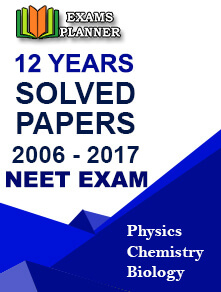 Candidates should have qualified the qualifying exam with at least 50% marks. Candidates, who score 400 or above, need not appear at the entrance examination. Candidates should have completed post graduation in their respective fields with at least 60% marks. The syllabus of 2019 KIITEE will be uploaded to the information brochure. For the time being, students can refer to the KIITEE Syllabus of last year. The syllabus of 2019 will be almost same as that of last year. KIIT University conducts KIITEE for giving admissions to students for various undergraduate and postgraduate courses. Candidates, who want to seek admission to these courses, are expected to appear at the entrance examination followed by counselling. The medical aspirants need not appear at entrance examination. Candidates should note that for different courses, the entrance tests will be conducted on different dates. They are likely to start from the third week of April 2019. The exam will be conducted through online mode (CBT). Using login credentials, candidates can get their admit cards through online mode. The result is likely to be declared during the first week of May 2019. The entrance exam pattern of KIITEE 2019 is mentioned below. It will help candidates in strategizing their preparation. The language of paper will be English. There will be multiple choice questions only. A right answer will fetch candidates 4 marks and a wrong answer will take away 1 mark. After conducting the written test, the university will declare publicly the rank card which will reveal the rank of candidate. For convenience of candidates, rank cards will be sent to them by post. According to the rank in the merit list, they have to go for counselling. Candidates are required to check the merit list declared from the university website after some days of the declaration of the result. On the basis of candidates’ performance in the entrance examination, a separate list will be prepared by the university. According to the number of seats available in different courses of the university, the cut off rank will be published by the concerned authority. The schedule of counselling will be notified on the official website of the university. Those who cross the rank above cut-off rank will be considered fit for the counselling. Seats will be allotted to candidates on the basis of marks obtained by them in the entrance exam. Candidates with allotted seats can download the provisional admission letter from the official website of the university. First, candidates are advised to familiarize themselves with the syllabus of KIITEE 2019 examination. They should be able to manage their schedule for preparation properly. For this purpose, they should make a note of a total number of subjects and topics for preparation and stick to their schedule accordingly. They should jot down their strengths and weaknesses. They should lay more focus and emphasis on those chapters for which they need more preparation. They should take as many mock tests as they can. The more they practice, the better they will do in the examination. 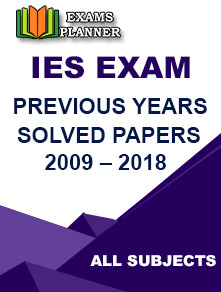 They should solve questions papers of last five to ten years. As a result, they will get an idea of what types of questions are asked in the exam. Finally, they should make notes for important topics and keep revising them. When will the application form of KIITEE 2019 be available to candidates? What is the last date for filling the application form? The last for filling the application form is the last week March 2019. Is there a facility for correction in case any mistakes are done while filling the application form? No, there is no such facility. So, candidates should fill their application forms with precision and accuracy. If candidates score 400 marks in GATE, will they be exempted from taking the entrance examination of KIITEE 2019 for seeking admission to postgraduate programs? Yes, they will be exempted as 400 is the least limit in GATE exam for not taking the entrance exam. In which language is the paper set and what is the duration of paper? The paper will be set in English and duration of the exam will be 2 hours. So, candidates should attempt their papers keeping time limit into consideration. Is there a provision for negative marking? Yes, one mark will be deducted for every wrong answer. Is counselling a must for KIITEE 2019? Yes, it is a must for passing the written test. At the time of counselling, candidates are required to show their original mark sheets and certificates of their academic progress.